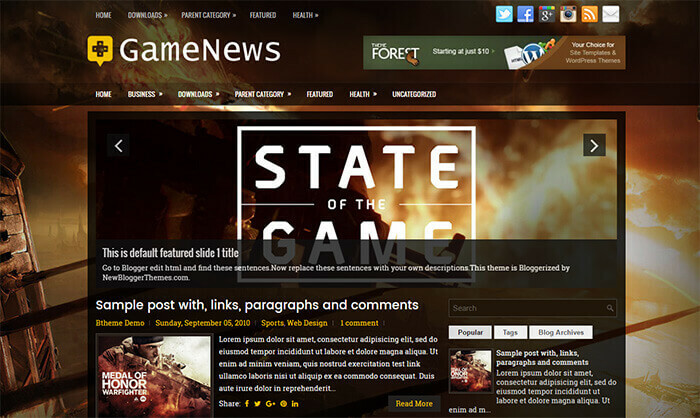 GameNews Blogger Template is a 100% responsive, 2 columns blogger template with 3 columns footer widgets area. It has a featured post slider, primary and secondary navigation menus, auto post summaries, social and share buttons, right sidebar, Google web fonts, header banner widget, related posts with thumbnails and more. If you’re looking for one professional and attractive template for your games or news blog then this is one of the best and recommended theme for your website as it has some advanced features that you may never seen in any free blogger template.